The chickens are here!! After all the planning, worrying and excitement, it was actually kind of anticlimactic. The guy came with our chickens in a box. 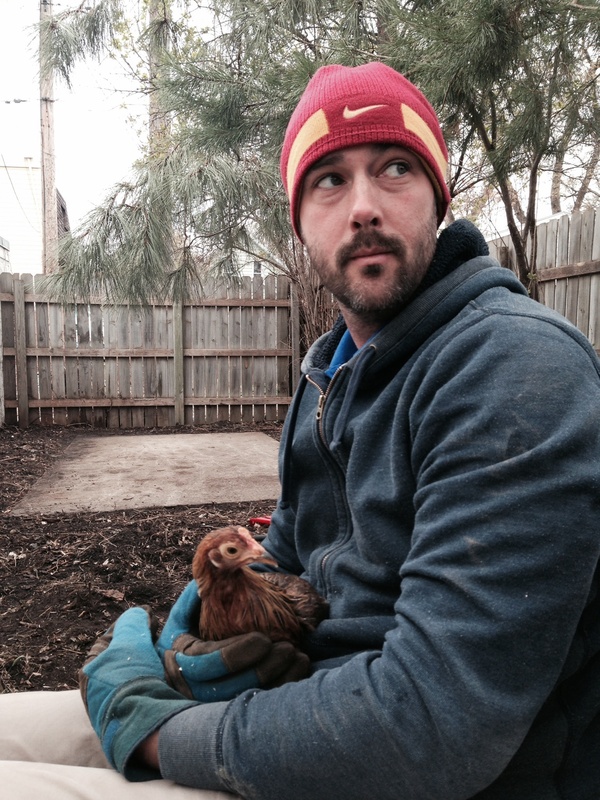 We put them in the coop. We looked at them. We went inside and had waffles. 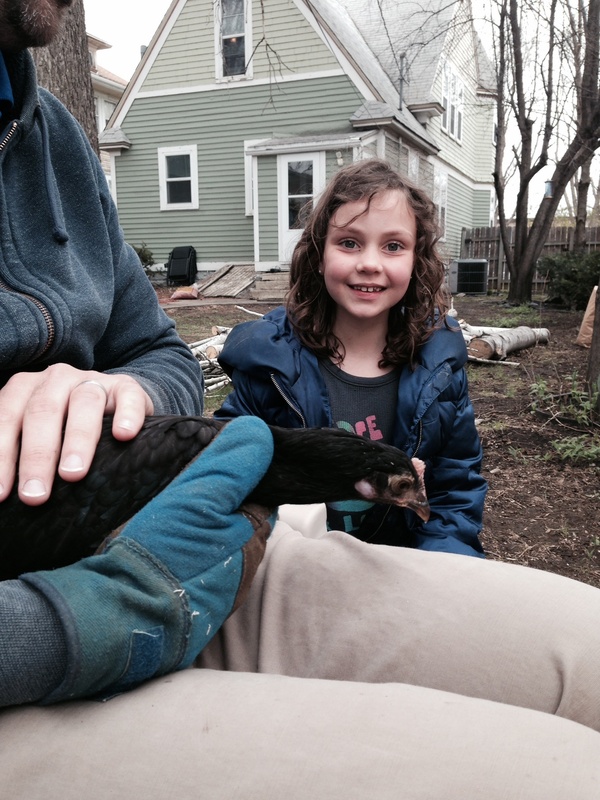 We have 4 chickens: two americaunas and two black australorps. Both breeds are supposed to be great egg layers, friendly and cold hardy. The kids are so excited and I am too. We should have eggs in less than two months!
) ). They would eventually find a way out of the pen and have a great time running around our yard and some of our neighbors yards, as well. (One neighbor lady, across the alley and down one house, wasn’t too happy when they ended up in her garden!) 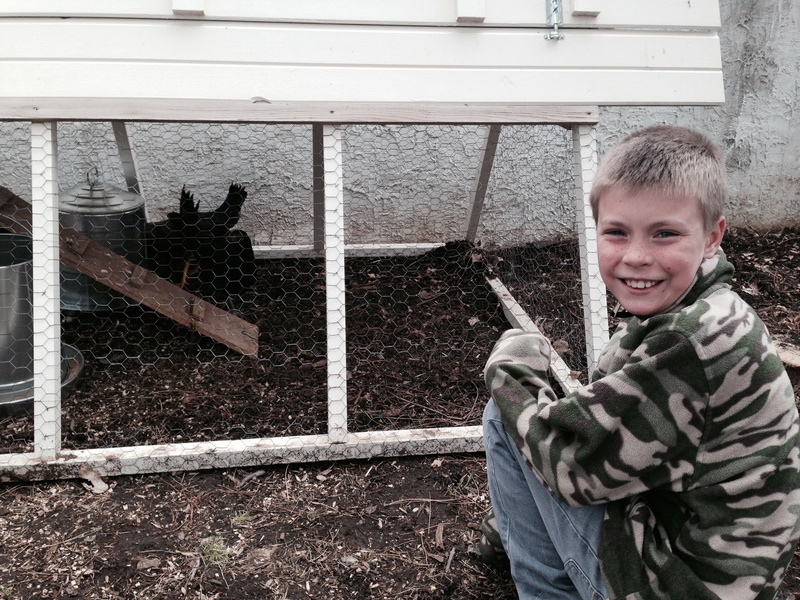 Our chickens also enjoyed living in the storage space under the back porch. Fun seeing chickens in the yard again, brings back a lot of fun memories!